Not the stunning dance group, no, but our very own Minster Choir. About fourteen months ago, all of our Choristers were boys and all were drawn from just one school. Fourteen months on, and how different things look! Our Head Chorister, Millie Brown, is a girl. 50% of our choristers come from schools other than the former choir school. 53% of our choristers and choral scholars come from other schools. 67% of school age (7-18) singers who are Choristers, Choral Scholars, or who sing in the Minster Singers, come from other schools. 75% of our Choral Scholars come from other schools. Our school age singers come from seven different educational establishments in two counties. We are very proud of how far we have come and that the wonderful experience of professional music making at the Minster is now open to all. We provide a completely free, first-class music education, that, if bought, would cost about £50 per week per child! More than that, Choristers are paid for singing at some services (Christmas looks like being a particularly lucrative time!) and receive several “treats” and outings during the year. 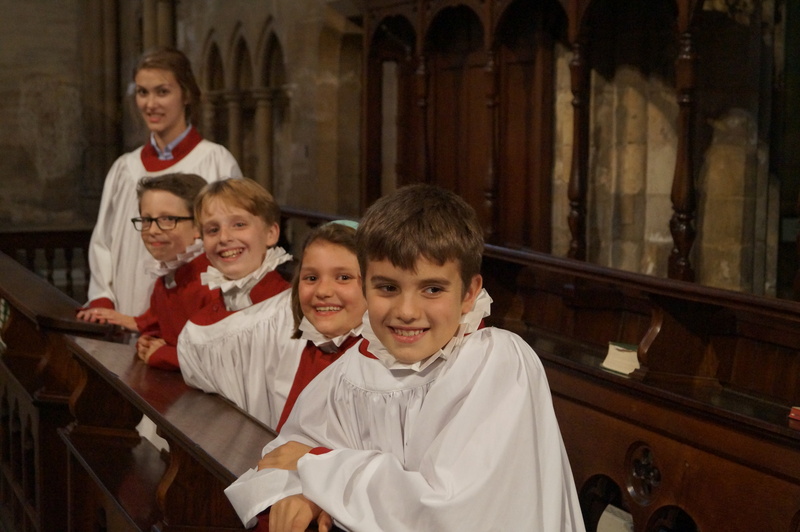 There is always room for new Choristers, Choral Scholars, or members of the Minster Singers. If you are interested in finding out more, contact the Director of Music, Steven Maxson, to find out more.